O loving and merciful God, with Your help I begin this new week. I do not know what will happen to me in the course of it. Much evil and misfortune can happen in a single day—how much more in a whole week! And so I come to You at the very beginning of the week and commend myself wholly to You. O my God, grant me Your Holy Spirit so that He may sanctify, lead, and govern me, bearing witness with my spirit that I am Your child. Bless me this week. Bless my going out and my coming in. 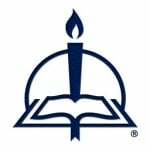 Bless the labor of my calling and occupation. Bless every step I take. I lift my eyes to the hills. Where does my help come from? My help comes from the Lord, the maker of heaven and earth. O Lord, if You lead me, I shall not stray. If You keep me, I shall not fall. Let Your faithfulness and mercy guard me in all my ways. Bless all that I have, and let Your blessing prosper me. O my God and faithful Father, protect and keep me from all harm, danger, and misfortune. Let me remain under Your gracious protection day and night. Guard my house on every side like the house of Job. Let the holy angels camp around me and my possessions, and I will dwell securely. Hear my prayer when I cry to You, and let me not leave the throne of grace without being heard. Keep me from grievous sins. Show me Your ways, O Lord; lead me in Your truth. Unite my heart to fear Your name. Grant that this week I may become more pious and godly, that I may increase in my knowledge and love of You. As I am leaving behind one week and entering another, grant that I may grow inwardly. Let me add to my faith, virtue; and to virtue, knowledge; and to knowledge, self-control; and to self-control, patience; and to patience, godliness. If the last week of my life has now arrived, grant me assurance of Your grace. If this week should become a week of crosses to me, strengthen me by Your Holy Spirit, that with Your mighty aid I may be able to endure and overcome them all. Be my helper in every need, and deliver me from every trouble. I commend myself, my body and soul, and all that I have, together with all pious Christians, to Your gracious and fatherly protection. And hasten to Thy glorious day. From Starck’s Prayer Book, Revised Concordia Edition, pages 17–19 © 2009 Concordia Publishing House. All rights reserved. 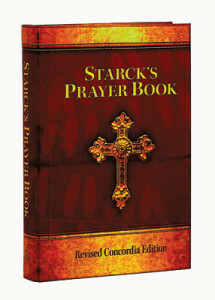 To order Starck’s Prayer Book, please contact CPH at 800-325-3040 or visit www.cph.org.